I want to get this out of the way right off the bat: I did not make a single recipe from this cookbook. Nor do I have any desire to. 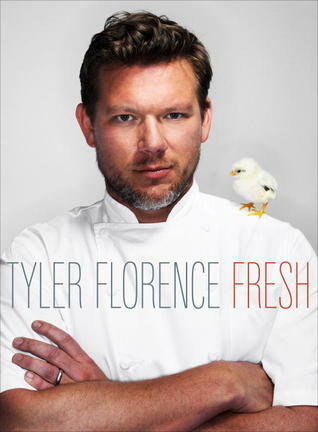 And while I generally like Tyler Florence, I'm not sure he gets his desired message across in this cookbook, which is, as the name suggests, to focus on healthy, fresh ingredients in your cooking and to let the flavor of each ingredient shine. Where this book really misses the mark for me however is in its pretentious, intimidating delivery. The photographs, while beautiful, are way too stylized and scream "This is much too intimidating for you so don't even bother." While I am generally a fan of beautiful food photography, I prefer the food to say, "Eat me. I'm delicious!" instead of "I belong on the wall in a modern art gallery." I also found some of Florence's message in Fresh to be conflicting. On one page he admonishes molecular gastronomy saying, "I'm glad to see a focus on ingredients in their purity replacing manipulation of ingredients just for the sake of novelty," (33) but a little further into the book, he dedicates an entire page to explaining how to make "pearls", AKA the spheriphication of liquid (61). That is most definitely a technique of molecular gastronomy. I found Fresh to be more coffee table book and a celebration of food styling and photography than a practical cooking manual for the home kitchen. The photographs are beautiful for their own sake, but I didn't find any of them setting off any salivary glands, which to me is a much more noble goal to have as a cookbook photographer than, "how can we blur the line between food and art?" And I'm not saying this because I dislike modern art; I actually quite enjoy it. But as someone who does enjoy modern art, that's not what I'm looking for in a cookbook. 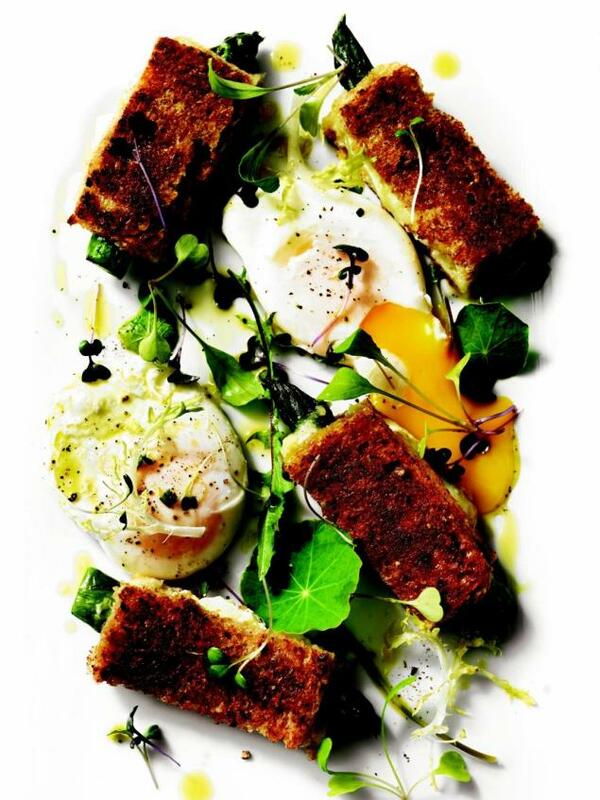 I'm looking for the photographs to make me hungry, not admire their artistic genius. I like cookbook photos to be approachable, too - the more artsy types of photos can be so intimidating. Beautiful, perhaps, but they never make me feel hungry. When I think of fresh foods, simple, farmhouse style recipes come to mind. Interesting that he took the exact opposite approach, especially with the pictures. Still, I'd like to track down a copy just to see what the photography looks like! Even though I also like beautiful food photos I draw the line where the photos are so styled that nobody could achieve the look without help of a stylist. And the pearls! Oh well, give me homecooking any day! Bummer that this one didn't work for you. You have me curious about the photography -- I'll have to look through it at the library. I agree with you about food photos in cookbooks; I want them to be appetizing not necessarily so stylistic. Your review is very interesting, you looked at the book with a critical eye and that is a good thing. Laughing at Peggy Ann's comment--totally agree. ;) I've seen his cooking shows a few times but haven't ever sought out his cooking books. I do love looking at food photography but agree that recipes in a cookbook should feel inviting, not intimidating. That's funny, I reviewed a cookbook today that was the exact opposite, no photographs at all except for the front cover. The first thing I thought when I saw the cover of Fresh was that the chef looks like he's staring someone down in an intimidating kind of way. Dude, his eyes follow you EVERY which way it's actually kind of creepy. But I do like the cover. he looks so serious and then there is that chick.. I went to a cookbook class using this book and the meals we had were fantastic! The grape salad was amazing, steak and creamed spinach so yummy, and the whipped cream stuffed raspberries dipped in chocolate...oh! The meal was very satisfying. I do agree though, the pictures almost turned me off do the food! I appreciate what he's doing. He's not letting his talent go to waste, he has a book called how to boil water for Pete's sake. At least the recipes are easy, I for one need to work on my presentation of dishes so I like the book. He has been criticized for not being a real chef and this is a step towards that direction or so it would seem.